As soon as I hear the word ‘tassel’ I’m like an excitable puppy. Alongside sequins, stripes and animal print, tassels are one of my many weaknesses, which will explain everything about today’s WIOW item. 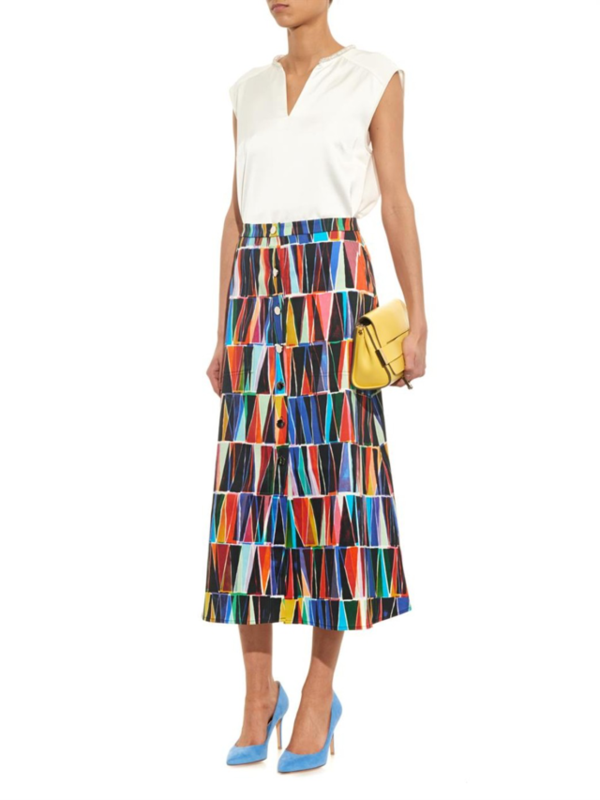 This Leah Tassel-Print Stretch-Cotton Skirt from Saloni is bursting with colour having been inspired by the Silk Road. The silhouette is speaking my language; A-line, cropped to the calf and mid-rise, which I will make an acceptance for on this occasion. It’s a tad on the pricey side *cough* £350 *cough* so won’t be appearing in my wardrobe anytime soon but that won’t stop from admiring from afar. This skirt has also made me consider purchasing a neon yellow clutch. Damn pay-day money burning a hole in my purse.